Note: This article originally appeared in ‘Installation’ Issue 208, February 2018. Large area hearing loops can transform the lives of more than 51 million people with hearing loss in Europe, making education, worship, business, travel and entertainment more accessible. They allow people to hear the sound that really matters to them rather than amplifying all the noise in the room. However, getting large area hearing loops right is about much more than meeting the design specifications of a builder or architect. There is a common misconception that the only requirement for a large room is an equally large hearing loop. 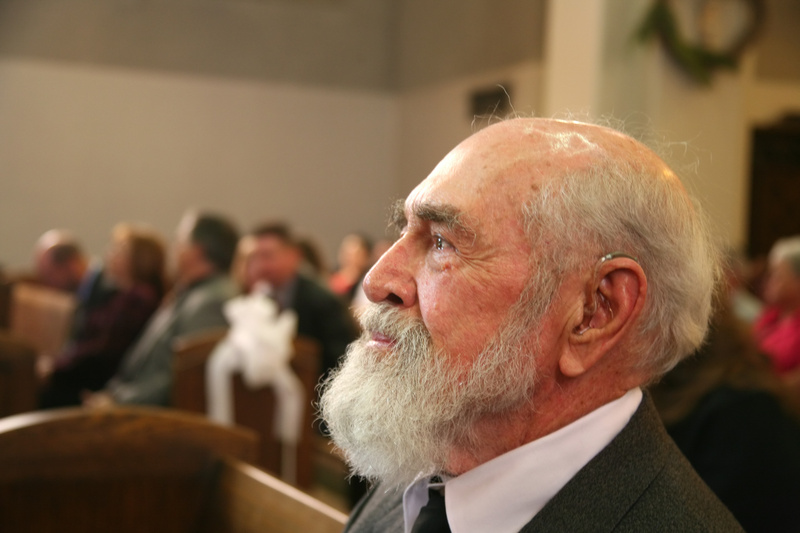 However, this simplistic approach can mean that when a user switches their hearing aid to the T position they get annoying interference or no signal at all. Installers need to approach each site as unique, as there are many factors that need to be considered. The first step is to carry out a site survey to determine which is the most suitable driver and loop layout for the site. For example, metal is a common cause of loss of current power, so measuring the impact of the construction of the room is essential. Metal loss can reduce driver output performance by up to 12dB, which if not identified can compromise the complete performance of a system. Another challenge when installing large area loops is potential overspill into neighbouring rooms, or rooms above or below. This can be hugely impactful in a council chamber, meeting rooms or courtrooms for example, as it can compromise confidentiality. This is where knowledge of the products and professional installation make the difference. The latest technology offers highly effective phased array loops, which involve a number of smaller loops rather than one large set-up. Phased set-up minimises overspill because the amplification needed is much lower. What this approach does require, however, is greater skill in calculating the areas each loop will cover and the corresponding wiring. Eastbourne Theatres, on England’s south-east coast, are a good example of how it pays to engage an expert. The theatre group wanted a solution that would offer hearing aid users the best experience and allow them to hear dialogue clearly no matter where they were sitting. An on-site survey was carried out and phased array loops were recommended as the solution. This was because this set-up could offer the best performance given the sloping nature of the stalls seating and the upper-level seating in the circle. The equipment was tested, commissioned and, importantly, is maintained regularly to make sure it continues to meet the needs of audiences. Feedback has been overwhelmingly positive. For architects and facilities managers, the key is to choose an installer who understands these issues. While it’s easy to fit products that are compliant with disability legislation or that meet product standards, just being there doesn’t mean they are going to work. Rather than complain, end-users are more likely to vote with their feet and find a competitor whose system has been well planned, well researched and meets their needs. While footfall is of little interest to installers, reputation is. It’s worth making sure you’ve chosen the right product and installed it correctly, and that includes the type and position of the microphones which are a critical part of the loop system. It’s clear to see that it’s important to get this right at the earliest stage of construction or redevelopment. Once wiring is installed, venues will be less than keen to rip it out if the loop proves to be unable to do the job it was intended for. Ultimately, large area loops are only successful if users know they are there; so make signage and communication aimed at customers, visitors or users part of the scheme, or the perfect installation will go unheard.